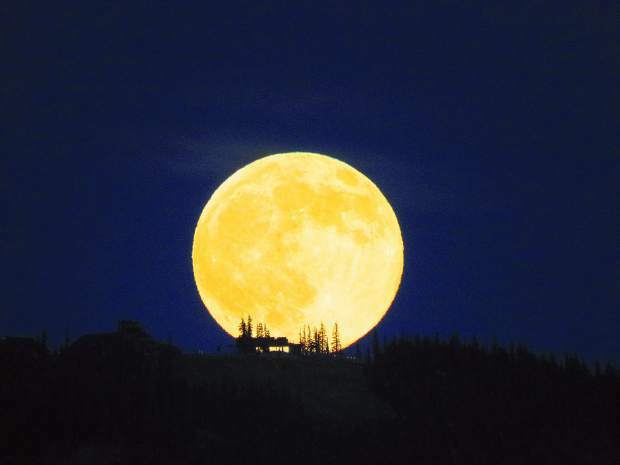 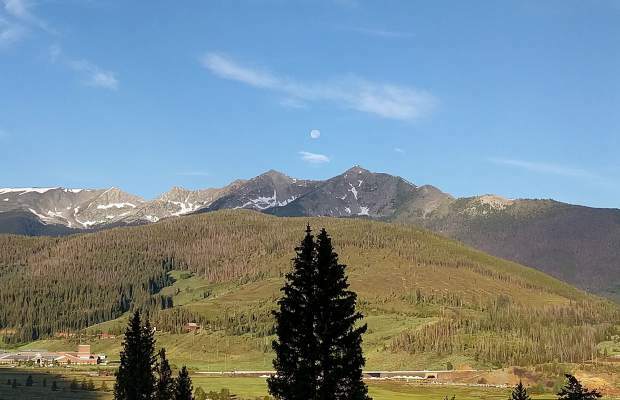 The moon was rising over Keystone Mountain, with the lift shack outlined by the moon and the Summit House. 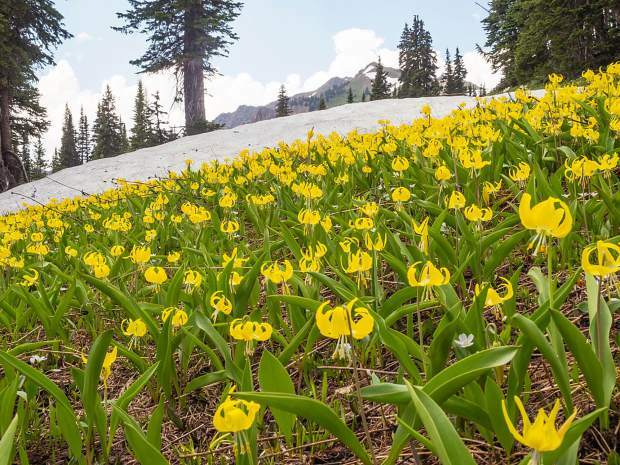 Glacier Lilies on the Gore Trail near Eccles Pass and Red Buffalo Pass on July 7. 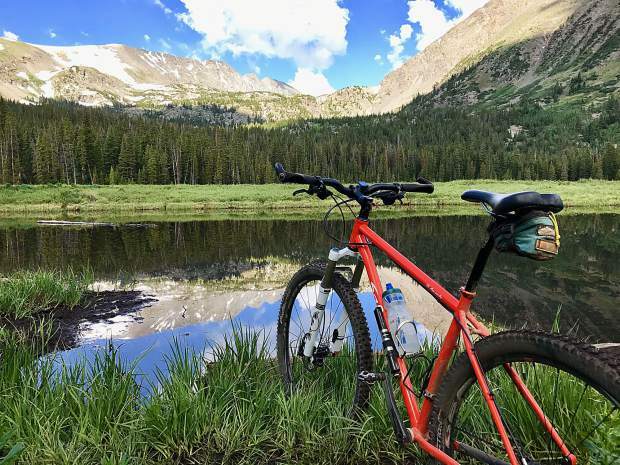 Bike with a view of reflections. 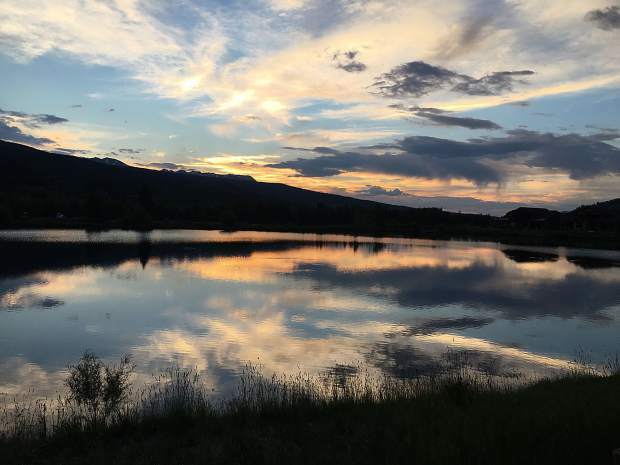 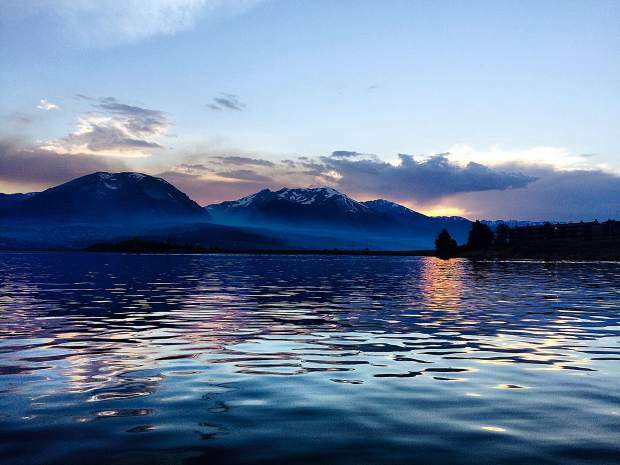 Image taken from Dillon Marina on July 4th with the haze caused by the Gutzler Fire. 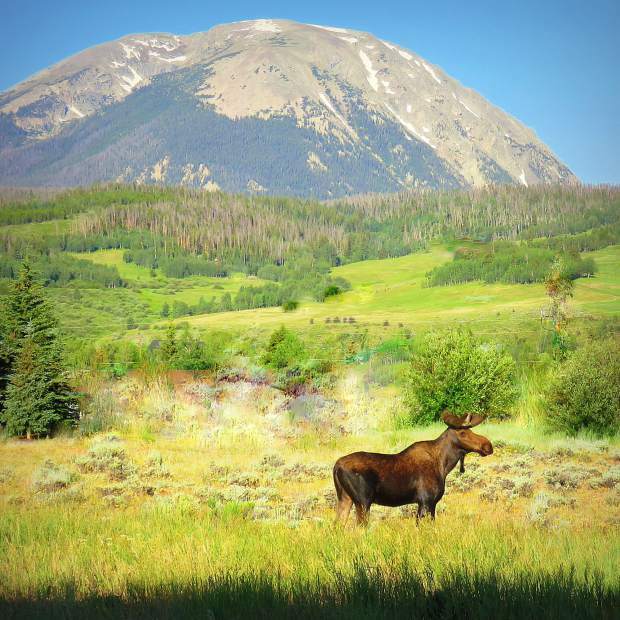 Yearling Bull Moose and Buffalo Mountain. 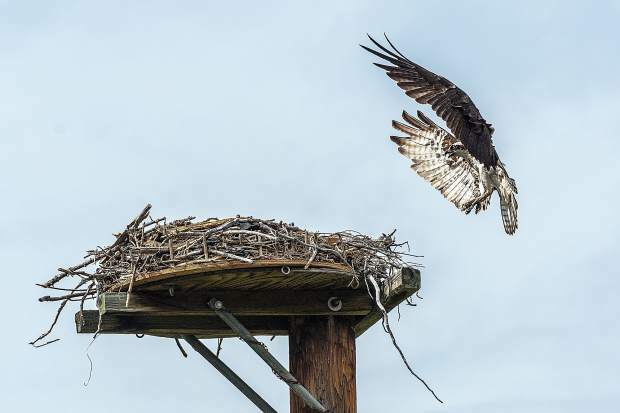 Osprey returning to the nest. 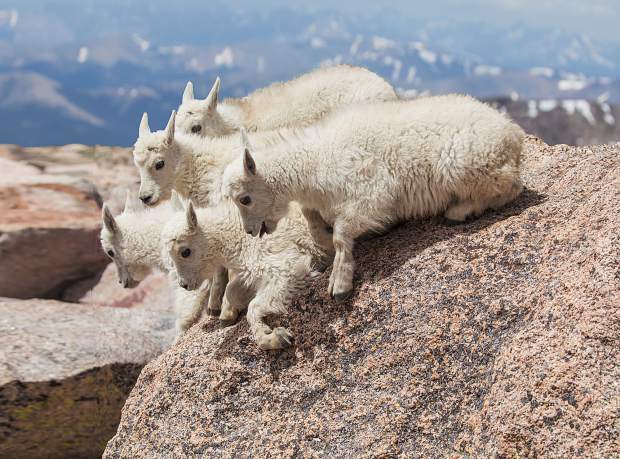 Five mountain goat kids are on the verge of jumping, if only one of the other goats would jump first.